ECOARC™, the ecological and economical arc furnace developed independently by Steel Plantech, is filled with innovative technology. It comes with advanced scrap preheating technology that eliminates the white smoke and foul odors generated when melting scrap metal, and addresses environmental requirements of the future. Furthermore, it is equipped with melting technology that achieves higher productivity than conventional electric arc furnaces. 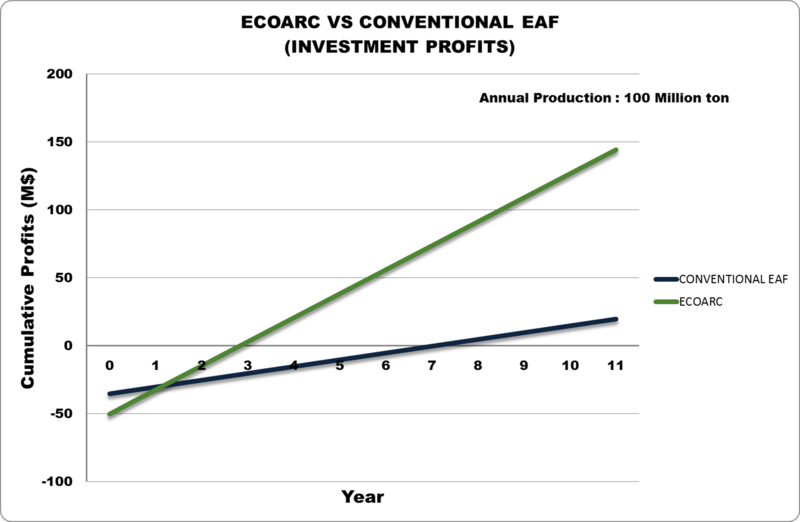 Installation of the ECOARC™ can be realized an early recovery of the investment costs, and an increase in revenues. Although, the installation of the preheating system would increase initial costs in the short term, however, it will provide high investment returns, and customers will be able to enjoy high investment returns by dramatic decrease of production costs, and increase in high revenue. You would feel the benefits of this investment immediately after installation through the phenomenal performance exhibited by the ECOARC™. Installation of the ECOARC™ will dramatically reduce the environmental impact. Existing facilities can be reused when install the ECOARC™ system, it will contribute significantly to the initial investment cost reduction. 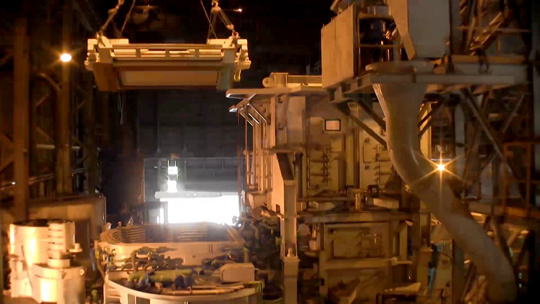 Preheating scraps with high-temperature exhaust gas is possible because the preheating shaft and melting chamber are directly and rigidly connected, so the scraps are continually present, from the steel to preheating areas. This enables high-temperature preheating of the scraps, resulting in a significant reduction of power consumption. The melting chamber is sealed off from outside air, to prevent the excess air inlet. it prevent over oxidation of scrap under high temperature preheating. As the ECOARC™ keeps always flat bath operation, electrode consumption is significantly improved. Furthermore, the electric facilities necessary to meet power quality regulation can be drastically reduced on it may not even unnecessary depending on required regulation. 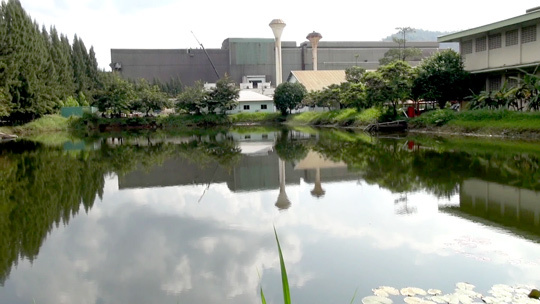 The decomposition and decomposition of dioxins are reduced through an exhaust gas combustion chamber and rapid quench chamber in the exhaust gas duct system, which realizes dioxin emissions of not more than 0.1ng-TEQ/㎥. Not only dioxins but also a volatile material that causes foul odors and white smoke will be decomposed and the dispersal of them are also prevented. The furnace prevents diluting of exhaust gasses. Therefore, the CO within the exhaust gas can be used as fuel, reducing the amount of fuel gas consumed. Flat bath operation dramatically reduces noise during operation. The reduction of power consumption also contributes to the reduction of emission of greenhouse gasses during power generation. © 2013, JP Steel Plantech Co. All Rights Reserved.